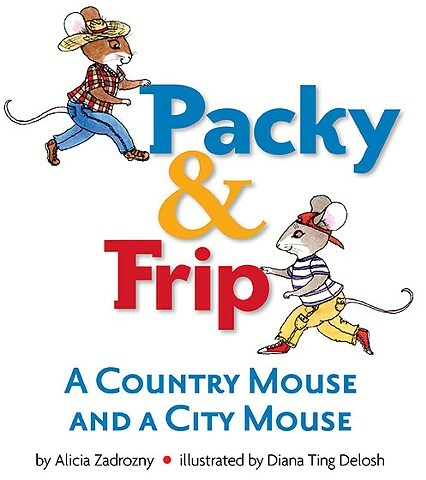 Packy & Frip, A Country Mouse and a City Mouse. Story by Alicia Zadrozny, illustrated by Diana Ting Delosh, book design by Jaye Medalia. Art created with ink, watercolors and an assist from Photoshop. 32 page Educational E-book published by Pearson Digital Studio, Inc. January 2014. © 2014 Pearson Digital Studio, Inc., or it's affiliates.